Athens Food Tour on camera! | Athens Walking Tours Travelogue Athens Walking Tours Travelogue | Athens Food Tour on camera! 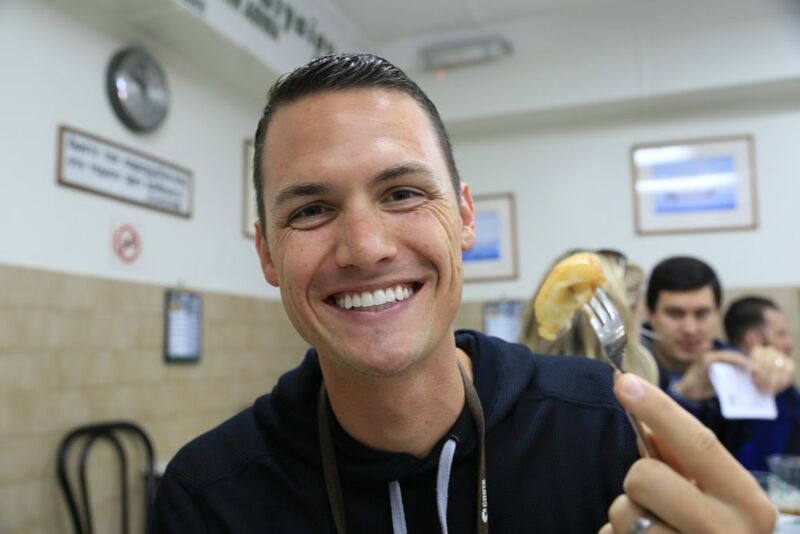 Kara and Nate joined the delicious Athens Food Tour and they made an amazing video about it! 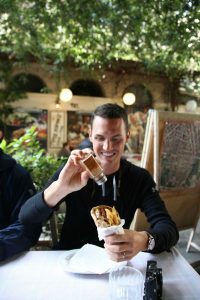 On this tour, not only they got a feel for the flavour of Greek cuisine, but also the unique history, culture and heritage of Athens! They followed our food specialist guide, Dorina, to places few tourists get to see in the non touristy area of the city, where its heart beats! 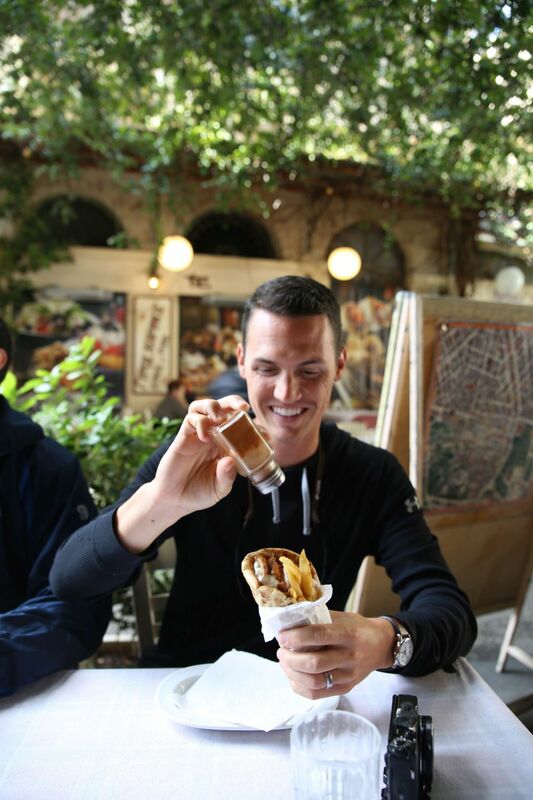 They both loved the mouth-watering “gyros” with pita bread, the traditional “bougatsa” and the sweet and syrupy “loukoumades” and they really enjoyed the vibrant central “Varvakios” food market, with its bustling energy and loud bargaining! 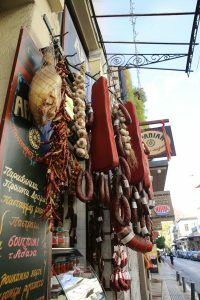 Come along on an “off the beaten track” food tour, discover the beautiful, multidimensional city of Athens and enjoy the delicacies that Greeks prefer to buy! 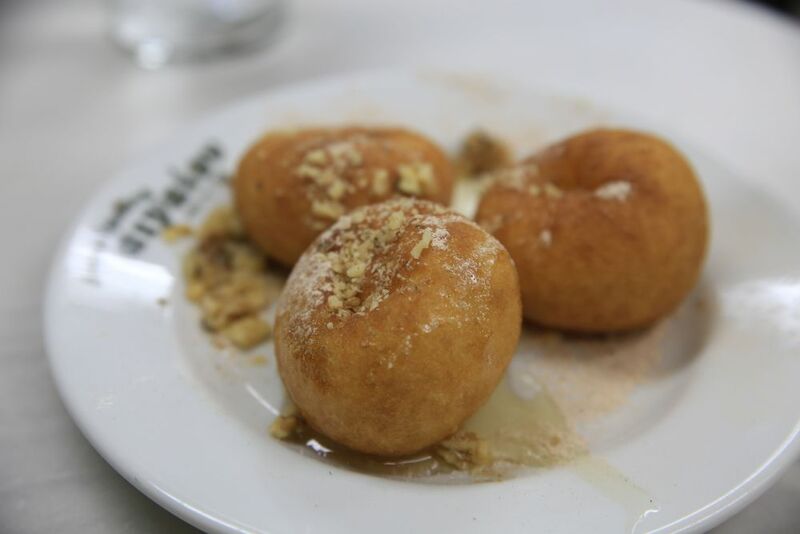 This entry was posted in Athens city sightseing, Athens Food Tour, Athens Walking Tours, Culture & entertainment, Gastronomy Tours, Greek Food and tagged Athens food tour, food sampling, food tour, gastronomy, Greek cuisine, Greek dishes, visit Athens. Bookmark the permalink.